CHICAGO – Dec. 11, 2018 –– A year ago, Josh Davis watched Weber State’s best season ever from the sideline after suffering a season-ending injury in the first game. 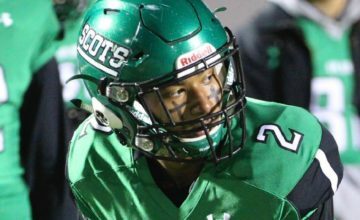 This year, the Wildcats’ top two returning running backs suffered injuries, and that created an opportunity Davis was more than ready to take on as a redshirt freshman. 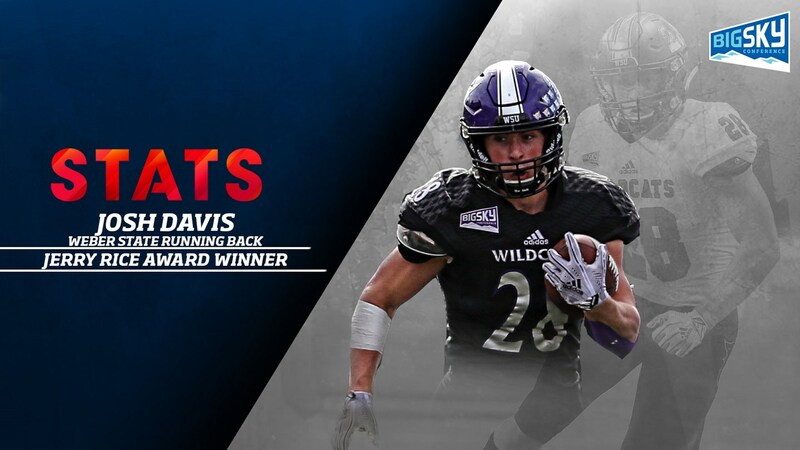 Davis helped Weber State to another banner campaign, leading all FCS freshmen in rushing and all-purpose yards while earning the STATS FCS Jerry Rice Award, which honors the top rookie in college football’s Division I subdivision. He ran away with the national voting as if he was dodging would-be tacklers, outdistancing runner-up Jon Copeland of Incarnate Word. Davis will be honored with the Rice Award, which is named after the legendary Hall of Fame wide receiver and former FCS All-American, at the STATS FCS Awards Banquet and Presentation Jan. 4 in Frisco, Texas – on the eve of the national championship game. 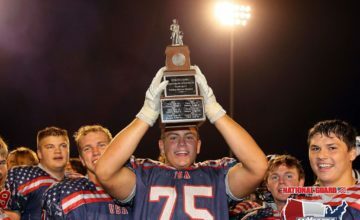 Davis, a pre-engineering major from Sandy, Utah, has the ability to get the tough yards or break off a long gain, carrying the ball 250 times for 1,362 yards and nine of his 10 touchdowns. 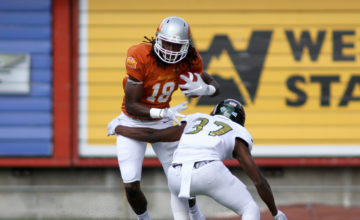 Add in the 5-foot-9, 195-pound back’s pass catching and punt return abilities and he averaged 148.2 all-purpose yards for a 10-3 squad which earned a share of the Big Sky Conference title for the second straight year and reached the national quarterfinals to tie the deepest postseason run in program history. A national panel of 153 sports information and media relations directors, broadcasters, writers and other dignitaries voted on the Jerry Rice Award following the regular season. Voters selected a Top 5 on their ballot.